Is the obsession with patient satisfaction harming our patients? In 1885, a young nursing student at Cambridge Hospital in Massachusetts was going through her studies; her brightness and positive attitude quickly earned her the nickname “Jolly Jane.” While there were some concerns with her occasional propensity to tell fibs and her seemingly bizarre interest in patient autopsies, by all accounts Jane was well liked by her colleagues, competent in her skills, and adored by her patients. Her patients thought she showed extraordinary compassion and was eager to help them beyond the call of her duty. Because of her popularity with patients, after Jane was terminated from her position at Cambridge Hospital for being reckless with opiate administration she was able to quickly obtain a new position at the prestigious Massachusetts General Hospital. She later lost her position because of her liberal dispensing of morphine to her patients. Yet because she was so well liked by her patients, a physician recommended her for a position as a private duty nurse to take care of his wealthy patients. Jane became financially well off as a private duty nurse, until she was discovered to have murdered dozens of patients, associates, and even family members over about 10 years. Jane Toppan was one of the most famous female serial killers of her time and although she confessed to murdering 31 people, some accounts place her victim count as well over 100. Apart from her sociopathic murder streak, Toppan’s rapport with her patients and her eagerness to treat her patients’ “pain” with morphine makes me believe that had patient-satisfaction surveys been an entity in the 1800s, Toppan, one of the first “Angel of Death” healthcare givers in history, would’ve no doubt scored very highly by the survey metrics. While, I’m certainly not suggesting an association of caregivers who score highly on patient-satisfaction surveys with sociopathic serial killing behaviors, there have been a plethora of literatures and articles suggesting that our current, well-intentioned fixation on patient satisfaction leads to unintended negative consequences. Problematic statistical limitations of these surveys aside, one of the biggest issues with the survey is that it focuses on dubious elements with no direct impact on patient outcomes such as how quickly was a nurse’s response when the patient presses their call bell, or how the patients rated the quality of their meal in the hospital. One of the most impactful questions on the survey asks patients about their perception on how adequately their pain was addressed. It is certainly true that no patient should have to suffer from agonizing pain without being addressed by a caregiver, it’s also not hard to see how perceptions of pain control differs by patient factors and is much more nuanced than a simple yes or no answer. It seems intuitive to many caregivers that a disproportionate focus on this methodologically flawed survey may lead to negative outcomes. And their intuition was further supported by a large study by Fenton that associated higher patient satisfaction scores with higher medical expenditures and worsened outcome including mortality. How can this be? How could our focus on making the patients happy lead to their demise? It turns out that at times, the correct medical decision in the interest of the patient may be contrary to what the patient perceives to be beneficial. The nurse or physician who caters to every patient demand may not be acting in the patient’s best interest. A patient who just had triple bypass surgery should probably not have a pastrami sandwich (see the Robbins reference for the backstory). Yet now that patient in a sense can demand it against the advice of his or her care team and hold the provider and the hospital’s reimbursement for ransom until request is met. A study by Zgierska and colleagues found that the pressure to place patient satisfaction ahead of their clinical judgment and ethical duty for beneficence is a significant burden on the well being, job satisfaction, attrition and ability to perform proper clinical care amongst physicians. Experts in the field who study patient-satisfaction and its associated effects noted that physicians who have their reimbursement tied in with their survey score are less likely to recommend against inappropriate treatments their patients demand, less likely to suggest against tobacco use, substance abuse and less likely to address mental health issues. Some health-policy experts actually attribute the current opioid crisis in part to the tie in of patient-satisfaction survey results to provider and hospital reimbursement scheme. As Sean Gregory writes: ”The government is telling us we need to make sure a patient’s pain is under control. It is hard to make them happy without a narcotic. With increased attention to the current opioid crisis, the lawmakers are finally beginning to question the appropriateness of tying reimbursement to patient’s perception of pain control. In 2016, several US Senators whose home states were hit the hardest by the opioid crisis have put forth bipartisan bills to untie Medicare reimbursement with patient-satisfaction pain management questions. The old paternalistic form of healthcare where the doctors roam the halls and preside over the care of patients with little input from other disciplines and patient input certainly is not the correct way to deliver care. However, we have to be careful to not swing the pendulum too far to the other side where patient satisfaction is the sole factor to be considered. As one clinical instructor said to Robbins: “Patients can be very satisfied and dead an hour later. Sometimes hearing bad news is not going to result in a satisfied patient, yet the patient could be a well-informed, prepared patient.” And this should be the truly satisfying outcome. 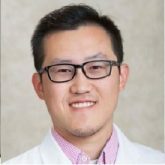 Leon Chen works as a nurse practitioner in the department of anesthesiology and critical care medicine at Memorial Sloan Kettering Cancer Center in New York and a clinical assistant professor at NYU Rory Meyers College of Nursing, also in New York. My mother goes to her physician and then she tells me what a great doctor her physician is, how sweet she is and how she didn’t say anything about my weight-all smiles. How do you explain to someone who doesn’t want to hear it, that does not make her a good physician. As a nurse in the LTC continuum, I would agree that the satisfaction survey is a problem and can lead to dangerous repercussions, especially in our sub-acute guests. The focus on pain in QMs and the 5 star rating can put a physician, advanced practitioner, nurse and facility in legal jeopardy. It isn’t unusual for a guest to cry foul, and notify the public health department if the clinical team attempts to reduce dependence on opioids when possible. The F-tag for dignity, as well as patients rights has forced the pendulum to create a nation of opioid dependent elderly. It wasn’t that long ago when CMS and the medical community instructed nursing that pain is the 6th vital sign, and that we were to do everything possible to treat the pain, including working our way up the ladder of stronger and stronger prescriptions. It doesn’t stop with pain medications, there are many other facets of care that are being impacted as well, such as nutritional advancement and education having fallen away to “give them what they want” philosophies. Lastly, this satisfaction problem has lead to an ever increasing social issue where guests and families feel they are at right to be abusive to all the caregivers involved. From physical and verbal, to emotional abuse layered onto professional caregivers, satisfaction of the guest has lead to families and guests feeling they no longer need to be participants and responsible for their health status. This is an extremely insightful and well written article on this subject. I had heard a podcast about that murderous nurse, but had never thought about how the sole focus on pain control would enable her behavior or others like her. We try to provide holistic care and unfortunately we aren’t graded by our patients in a holistic manner, nor do we appear to be reimbursed by CMS in a holistic manner.